How much did the first CD recorder cost? While it wasn't marketed toward consumers, the first audio CD recorder was unveiled in 1991 at the annual National Association of Broadcasters Convention in Las Vegas, where Japanese manufacturer Denon demonstrated its model DN-700R hoping to attract the interest of radio stations, which could use the device to make demo discs or to copy and distribute content to other outlets. 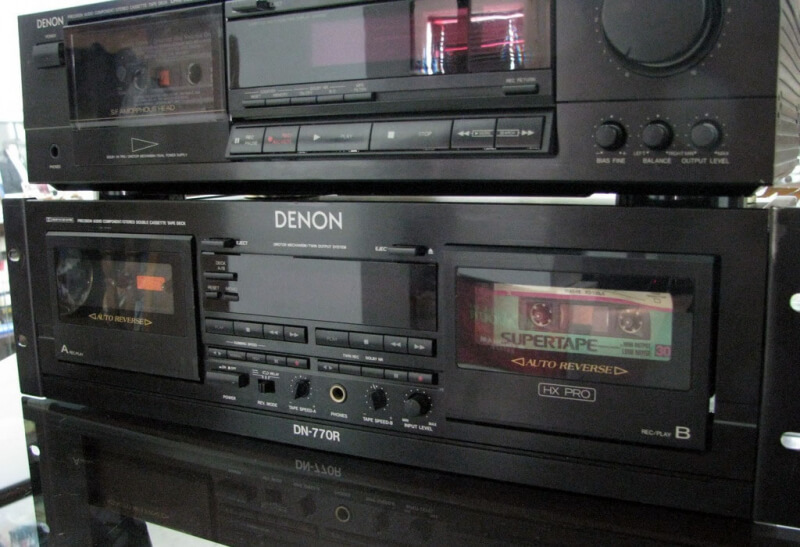 According to an article written by The Syracuse Newspapers at the time, the DN-770R was the first of its kind and was being propositioned by Denon for $20,000: "Denon DN-770R audio CD recorder debuts as the first of its kind...The CDs it produces can be played on any CD player." Separate reports have suggested that it required $100,000 worth of additional equipment to get up and running. Blank CDs were $40 each at the time and could only be recorded once, making them unattractive compared to cheaper rewriteable cassette tapes. By 1992, CD recorders were still priced upward of $10,000 and it wasn't until the HP 4020i recorder in 1995 that you could purchase a recorder for less than $1,000 ($995 technically).